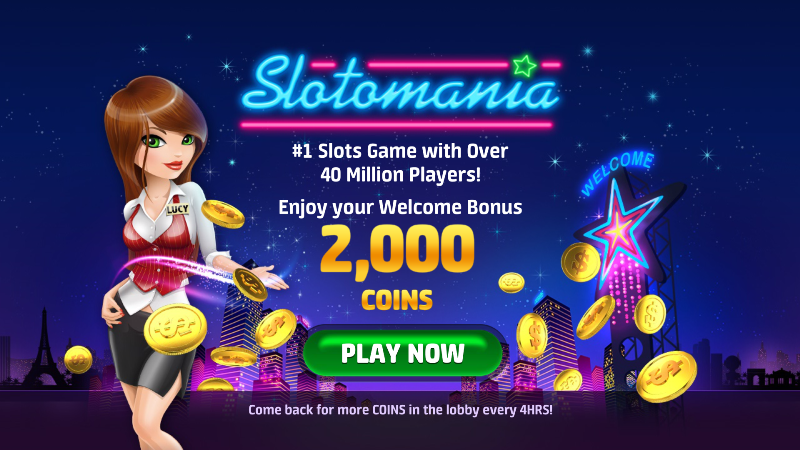 If you are into slot machines then Slotomania will definitely get you hooked! A social slots app, Slotomania, offers endless possibilities with the game of slots while letting you stay connected with fellow players via social media. 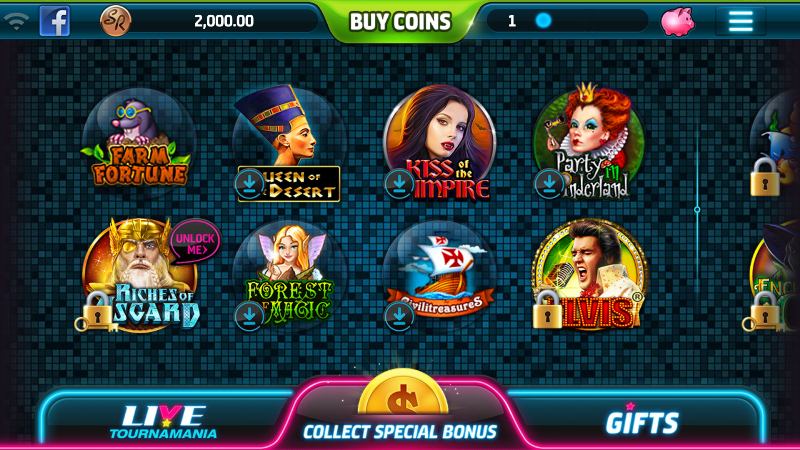 This game comes with a wide variety of themed slot machine games with unique games added every now and then. It offers players unlimited opportunities to win coins from bonus rounds, free spins, gifts, and mini games. Best of all, it’s free to download on your Android device. Slotomania is offered by Playtika, the same people who brought World Series of Poker, Caesar Slots, and Make It Rain: TycoonMania. 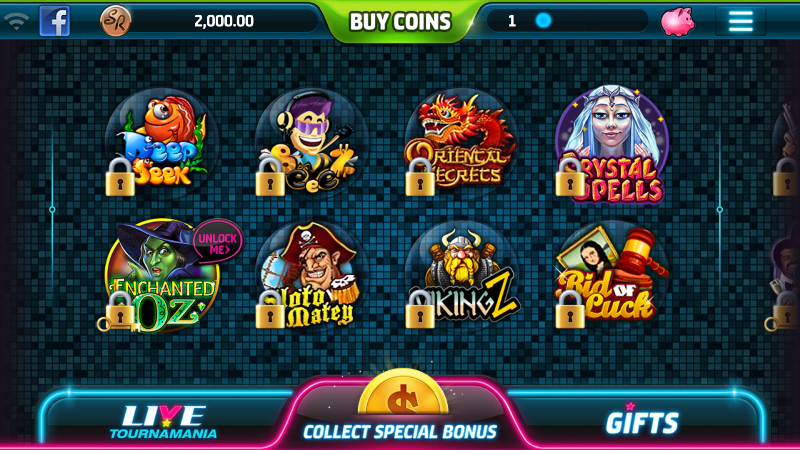 With Slotomania, you can choose from a wide variety of themed slot machines to play on. Upon download, you can immediately play with Farm Fortune slot machine. Other themes like Queen of the Desert, Kiss of the Empire, Party in Wonderland, and Forest Magic need to be downloaded separately inside the game. More themes are available but you need to unlock them as you play along or through an in-app purchase. 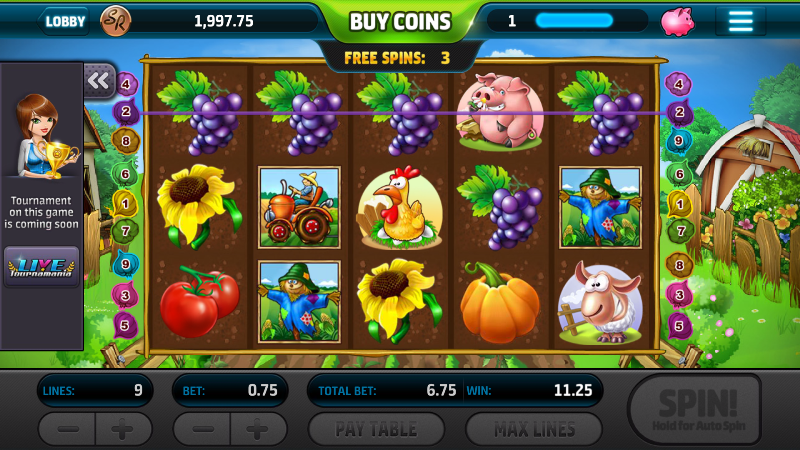 The out-of-box Farm Fortune theme involves the appearance of farm animals such as pigs, cows, chickens, and dogs, and farm produce like tomatoes, grapes, pumpkins, and sunflowers on the slots. Barns, tractors, and scarecrows also appear on the slots from time to time. Slotmania lets you connect with your friends on Facebook so you can see how well they are doing in the game. 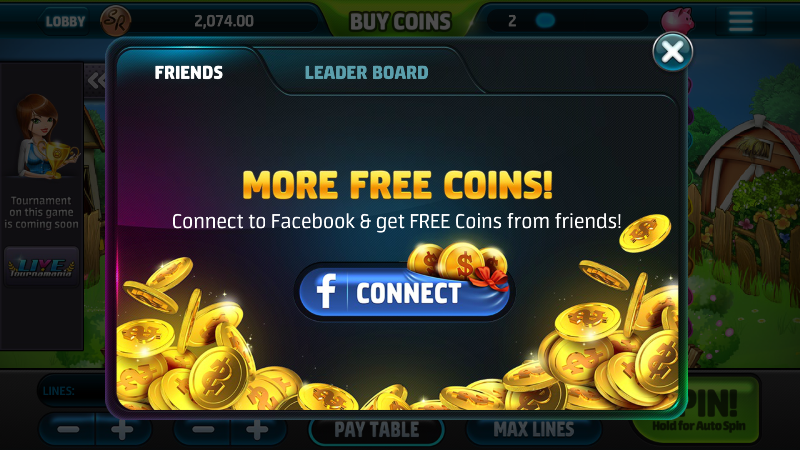 By connecting your Facebook account, you can earn free coins that you use to spin slots. You can also see the Leader Board so you will know who you should try to beat. Push spin and wish that Lady Luck is at your side so you can score! 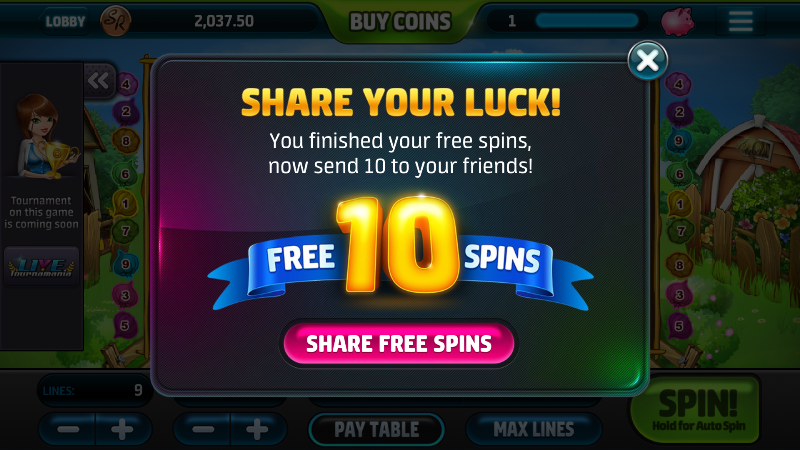 While playing, there are certain milestones that you can reach (like when you level up, used up all your free spins, or just lucky with a spin) that you can share to your friends on social media. By sharing, you can earn free spins. Thus, the more you share, the more free coins and spins you can earn! With a large selection of themed slot machines, Slotomania can definitely keep you busy for a long time. Its capability to let you stay connected is a plus since it invites competition among your friends, which makes it more interesting. So, hit “Spin” or hold longer for “Auto-Spin”.